Sandrine Alves is graduated in Law (with a M.Phil on comparative & European law) from the University of Paris X-Nanterre (France) and also from the University of Coimbra, in Portugal. She is a bilingual Portuguese lawyer since 2002 and a translator/interpreter since 1999, for courts, firms, translation agencies and public institutions. She translates from English, French & Portuguese into French & Portuguese (from Portugal), mostly in the legal and financial fields. 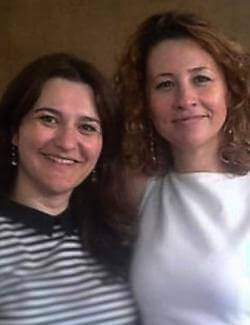 She is also a legal translation trainer (webinars & seminars) and a conference speaker (University of Coimbra, ProZ). Fully committed with the legal status of the translator’s profession in Portugal, Sandrine has founded, together with six other professional translators, the first Portuguese professional translators and interpreters association, APTRAD, having been appointed as Chairman of the Supervisory Board. Elisabete Beato Carlos Duarte is a Portuguese solicitor, in Coimbra (Portugal). She is graduated in law from the University of Clermont-Ferrand, in France, with a specialization in public international & European law and have a postgraduate degree in European Studies, from the University of Coimbra. She has over 16 years of experience translating and interpreting from Portuguese and French into French & Portuguese (from Portugal), mostly in the legal field. She is also a lecturer in conferences organized by the University of Coimbra (Faculty of Letters), and a French language trainer for companies. Currently, Elisabete is implicated in APTRAD’s life, by being a legal counsellor of the Association. Many translators claim that they don't translate legal. Why? What are the required skills for this specific area ? 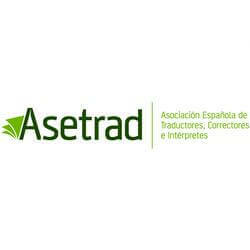 How to approach the translation of a legal document? What are the main differences compared to other areas of specialization in translation, such as literary, health or engineering? Should the translator be careful and follow specific precautions? We will provide examples and cover in a very practical way the most important stages and all the effects involved in legal translation.